Generally, guidebooks to Spain will recommend that you avoid doing anything during the siesta hours. After all, that’s when lots of shops and business get shut down, so it’s hard to get things done. The smaller the town, the harder it is to find anything at all open during the afternoon. But even though most of the shops will be shut and many residents happily snoozing away, this is often when Spanish cities are at their most vibrant. Especially if you like street art. 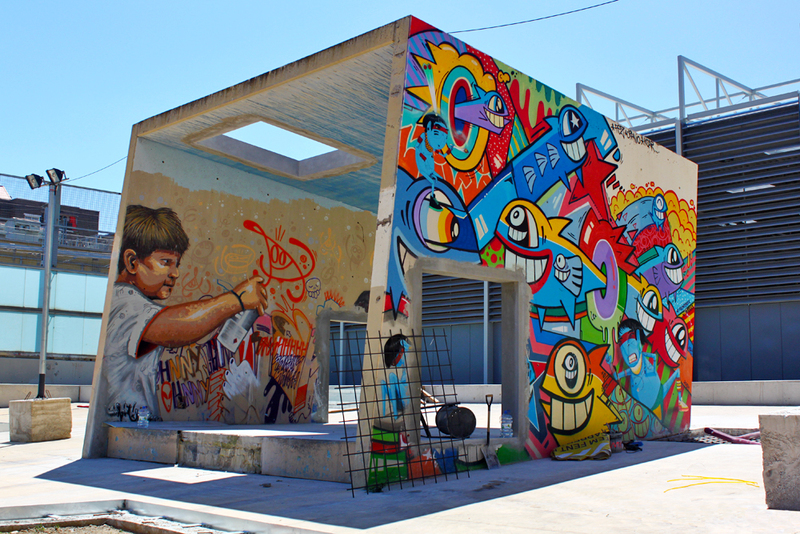 The locals may be at home during the siesta hour, but the street art and graffiti comes out to play. 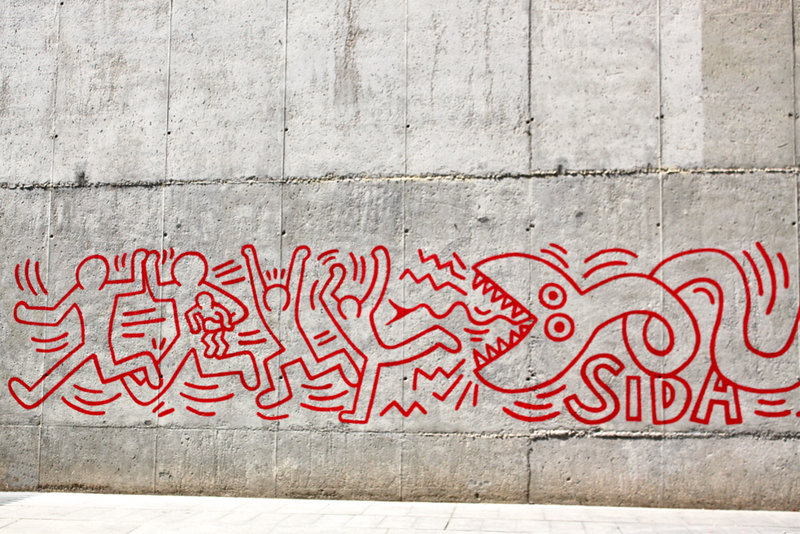 You might be wondering – how can street art come and go? 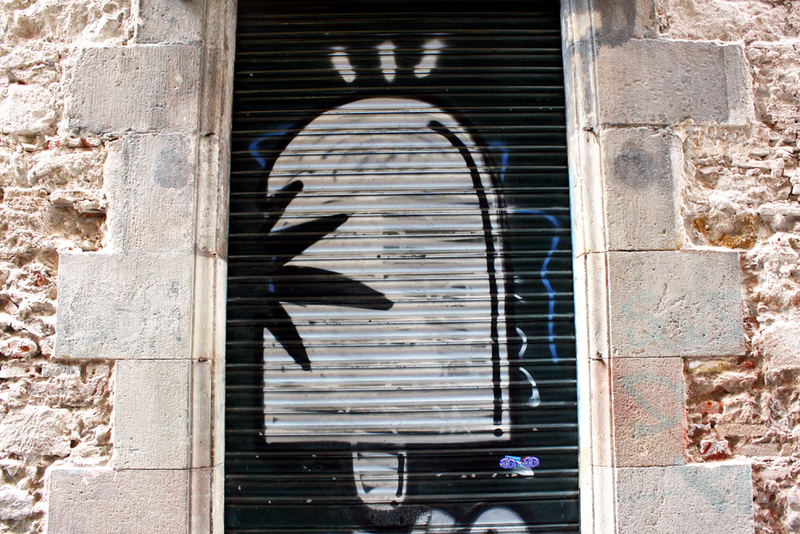 Spanish shops generally have metal shutters that they pull down when they close the store. And those shutters are often more interesting than the shop that’s hiding behind them. Shop owners commission special pieces of art to avoid getting ugly graffiti tags scrawled across the grates. 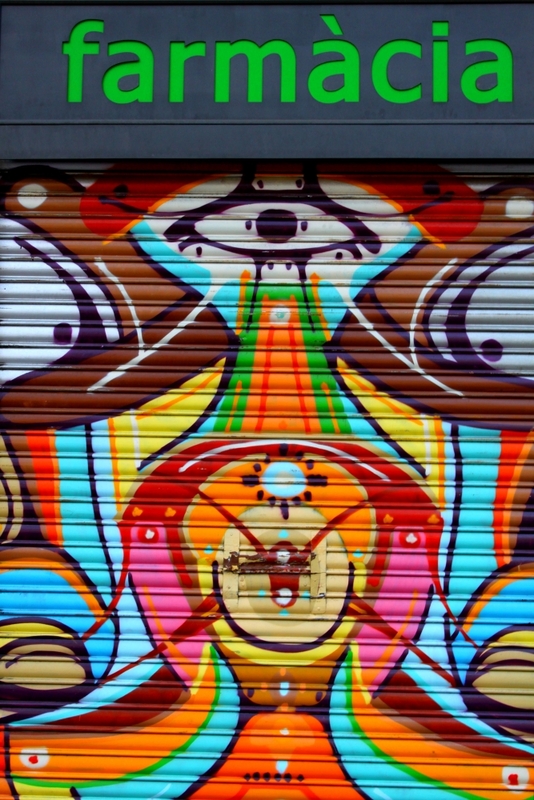 The prime time for spotting these colorful pieces of street art is the siesta time, when all the shutters are tightly pulled down. Well, OK, you could also go in the early morning before the shops are open, but I’ve never been a proponent of early rising. Some pieces are plain and simple; others are so detailed they could be hung up in a gallery and nobody would think twice about why they were there. 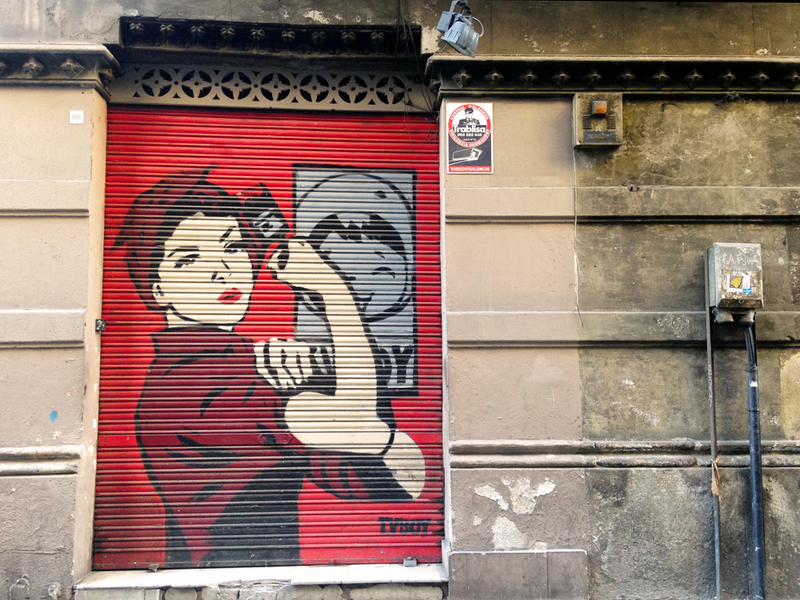 But even though the shutter art might be the first street art that stands out in Barcelona, it’s just the beginning of a vibrant art scene that’s leaving its mark all over the city. The Black Pacifier. Mr. Polo. SM 172. The Can Guy. To the uninitiated, these names might sound like “you wouldn’t have heard of them” indie artists. But they’re actually the names of some of the biggest street artists in Barcelona. I thought that my Barcelona street art knowledge was pretty decent. I’m no expert, but I could recognize recurring pieces, plus spot some new emerging ones. 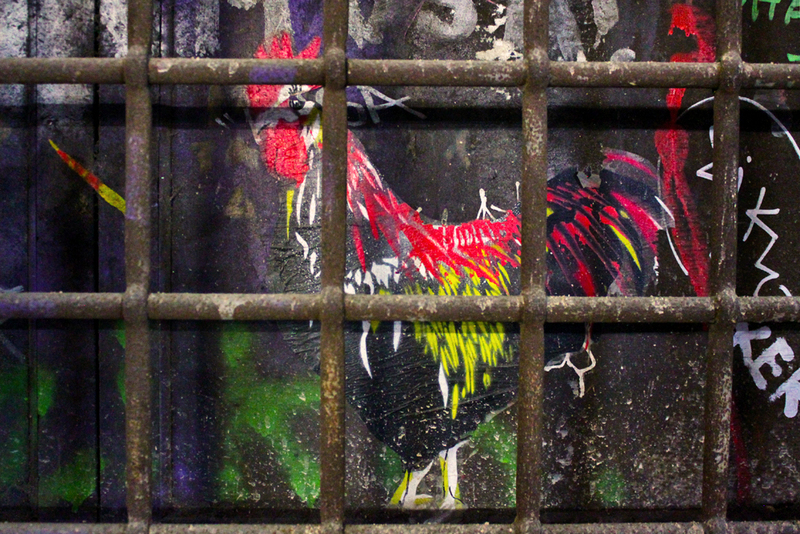 I knew where to find a few great pockets of street art bursting out of the city streets, and I could point out all the best shops in my neighborhood for art on the shops’ shutters. I could explain the cheeky traffic sign stickers, and I knew where to spot historical ‘street art’ related to peeing in the street (really, this is a thing). You know what they say – the more you learn, the more you realize how little you know. Turns out, the more I learned about this colorful, sometimes chaotic world, the more I realized that I knew almost nothing about street art in Barcelona. I didn’t know any of the names or signatures of some of the most famous street artists. 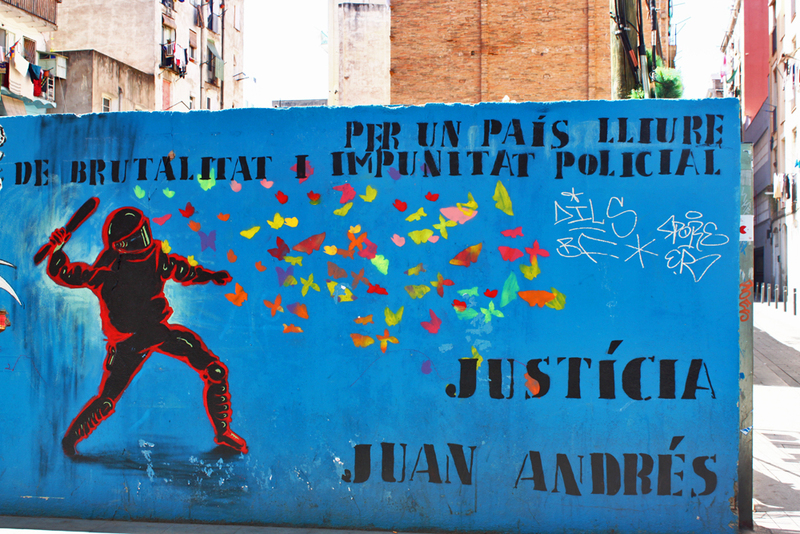 I didn’t know about the corner of the Raval taken over by street art in protest of police violence. I didn’t know that the city had commissioned a giant piece of street art in honor of Miró right around the corner from this protest square. 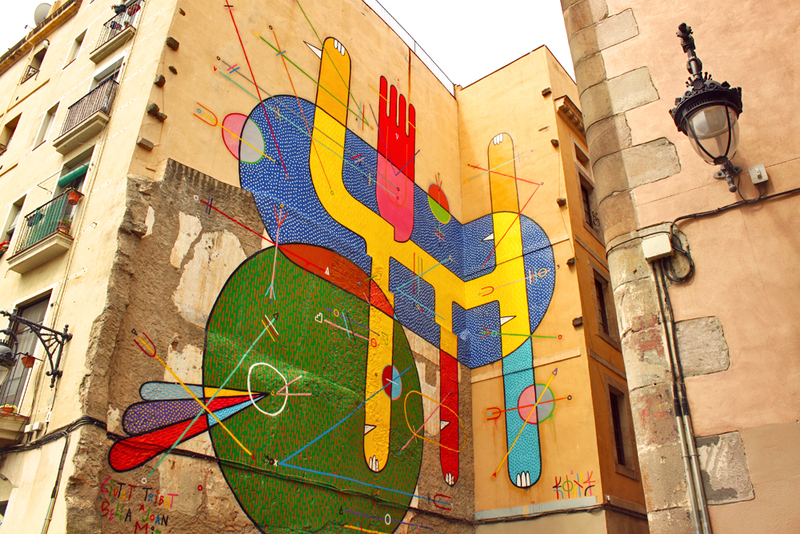 And I didn’t know that street art is illegal in Barcelona, with the Miró tribute as an exception rather than the rule. 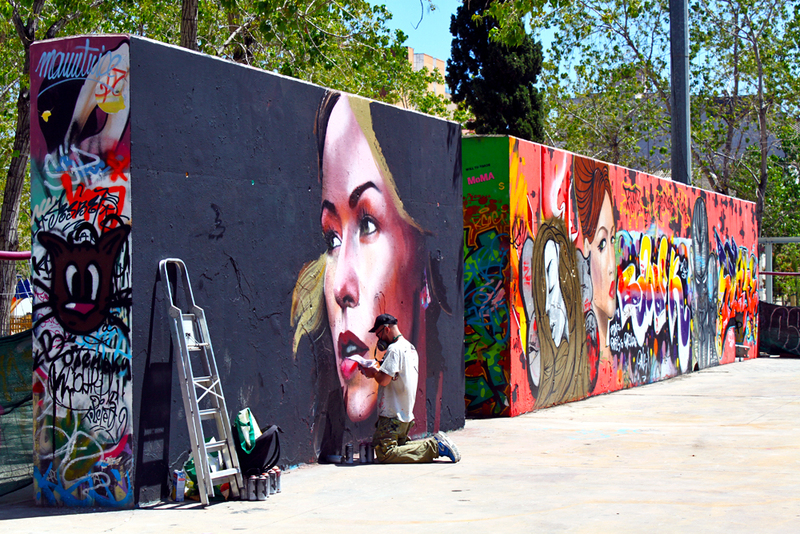 After all, the city recently held a huge street art festival where artists were welcomed to decorate every square inch of a section of the Poble Nou district. Street art is all around the older neighborhoods of the city. But this kind of art, whether it’s a hastily scrawled tag or a beautifully designed piece, carries a hefty €700 fine. Per piece. That makes it all the more impressive that street artists have managed to get quite so much stuff up on the walls of Barcelona. 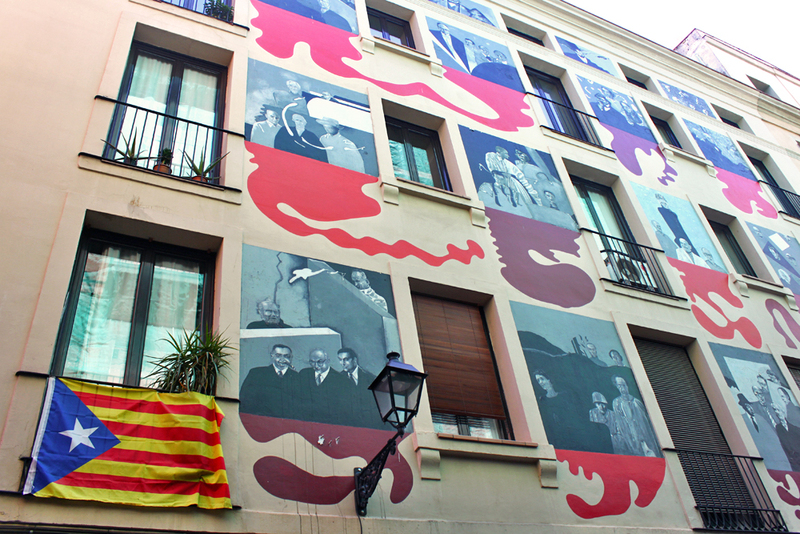 Neighborhoods like the Born and the Raval are covered in artwork. My local market is entirely covered in artwork. There’s tons of the stuff, some of it ugly, some of it fantastic, and some of it just uninteresting. It ranges from political messages scrawled on church walls dating back to the Spanish Civil War to brand-new paintings that pop up regularly. There’s so much street art here that the thought that it was illegal didn’t once cross my mind. 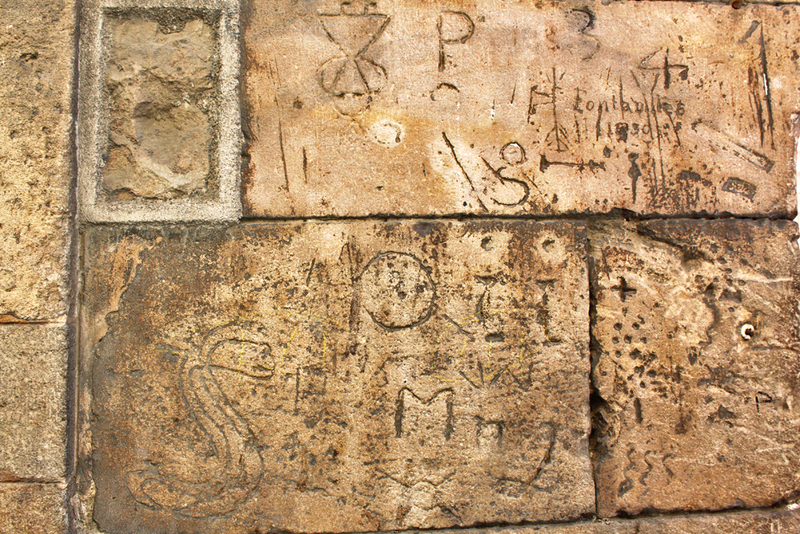 Really old street art scratched into the stone walls of a medical school by the students. A tribute to Amy Winehouse. There’s also a more recent one to Robin Williams. A square dedicated to fighting police brutality. Another thing I totally didn’t realize? 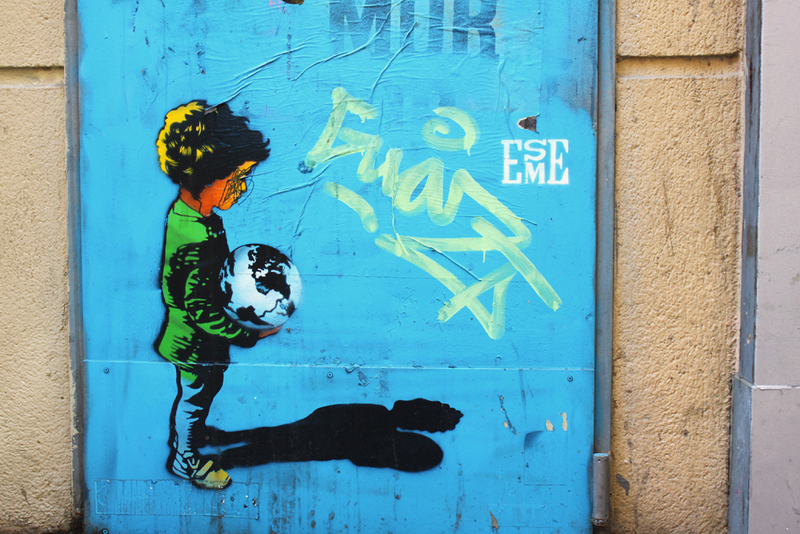 Just how many different kinds of street art there are around Barcelona. There are so many kinds of techniques. You could do your piece directly on the wall, or you might make a stencil and then spray it onto a wall. Or you might go for a ‘paste up’, pieces that are made elsewhere on very thin paper, then glued up onto the walls. It’s fairly easy to see the differences between the techniques once you know they exist. And there are lots of different artists employing those techniques. Sometimes their artistic names from from the things they’re known for painting – Mr. Polo paints “polo” ice creams – or the materials they use – El Latero (The Can Guy) creates messages using old cans. 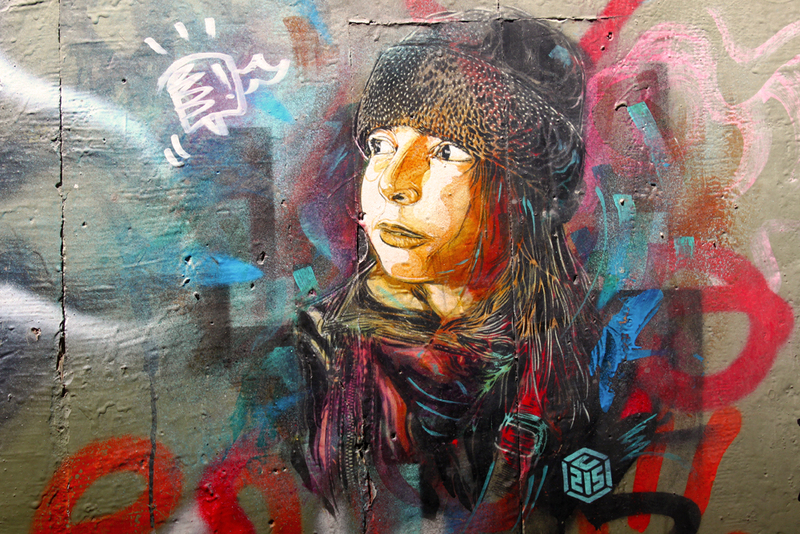 When you mix together a selection of techniques and a bunch of different artists, it’s no surprise that Barcelona has a huge variety of street art around the city. 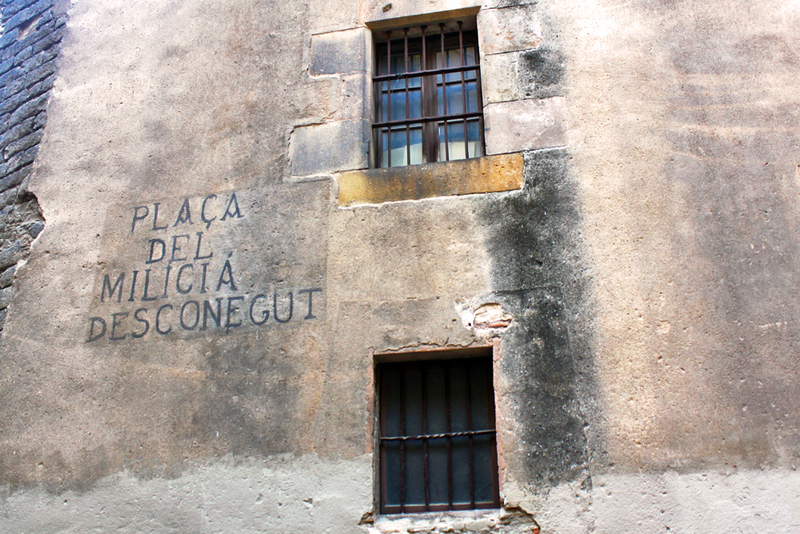 Some of it’s historical, like the plaques on narrow Carrer Petritxol, a street famous for its chocolate shops and art galleries. The plaques are as a community project to promote good behavior among the residents, like driving at appropriate speeds. There are also some more colorful pieces of modern street art here as well. Others are brand-new, like the graffiti wall at the Parc de les Tres Xemeneies that has recently opened up as a space to celebrate street art. There’s an ever-changing wall full of amazing pieces here (they have to be approved beforehand to make sure they’re up to par). It changes so often that there are social media accounts dedicated to capturing the art before it gets replaced and disappears. Street art disappearing doesn’t just happen at this park though. It’s a constantly evolving movement that comes and goes all over the city. The shifts might happen at a smaller pace in other spots, but there are always new pieces popping up and older ones slowly fading away. 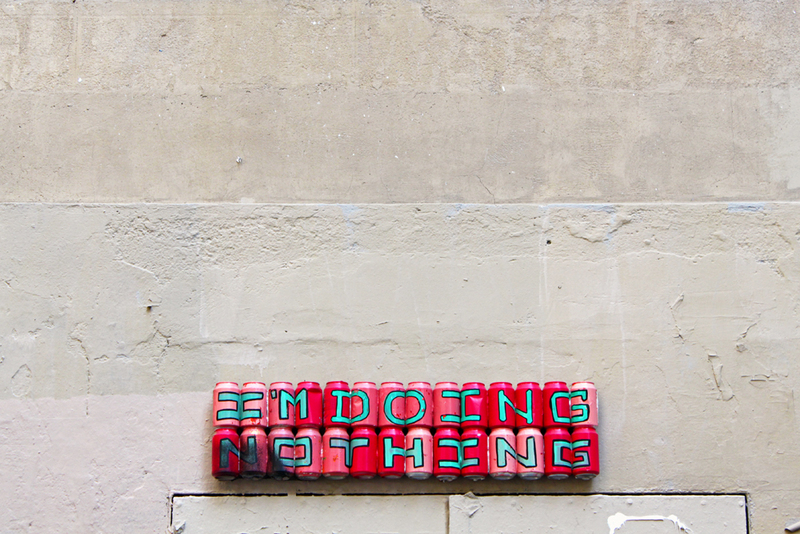 That’s what makes discovering street art so fascinating – it’s always on the move. It’s often bright and brash and colorful. Some pieces are flat-out cool, and others make deep political statements. That’s all great. But the best part is that there’s always something new to discover and enjoy. 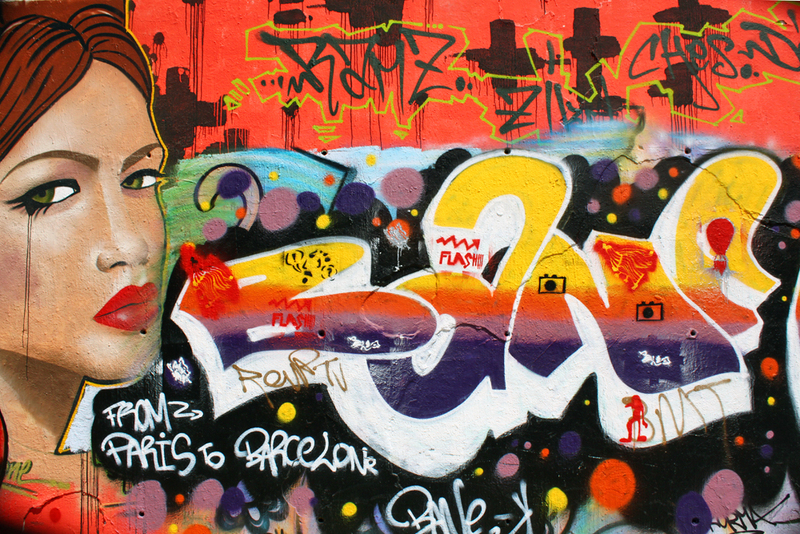 Thank you to Visit Barcelona for arranging a street art tour with Trip4Real. All opinions are my own, as always! 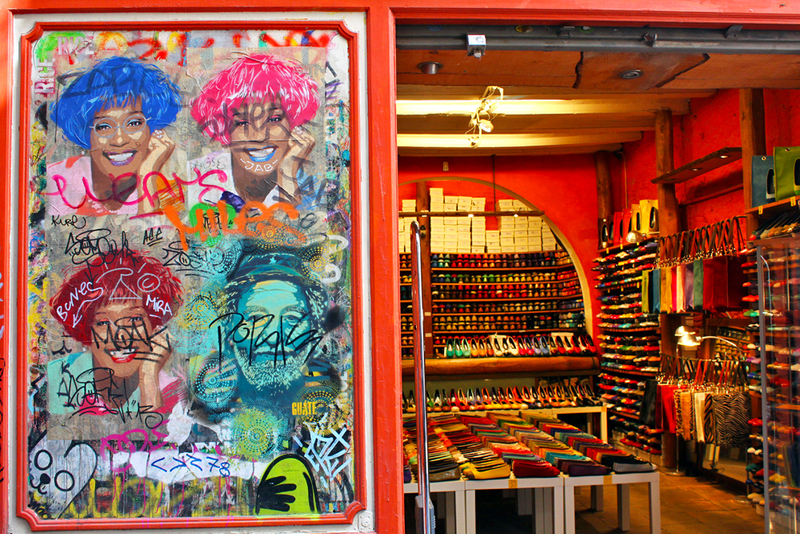 You can see more information about the graffiti tour here – it’s a budget-friendly €15 and a lot of fun. Nicely done–enjoyed the scope of the artists shown. This is awesome! I live in Barcelona too but I haven’t seen a lot of these. It’s nice to see another person who appreciates urban art. I hadn’t seen a bunch of them before either! Such an awesome post! I went to Barcelona a few weeks ago and couldn’t get enough of all the street art I found there. 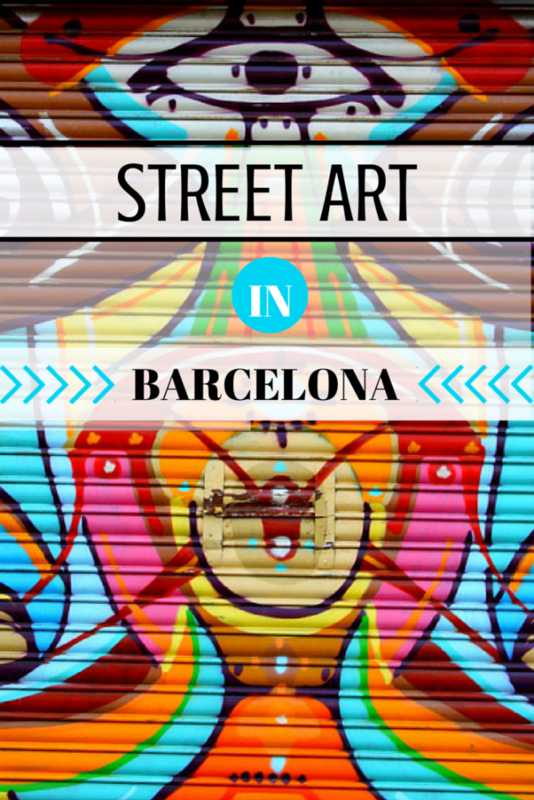 Thanks for sharing the photos and info about Barcelona street art! Thanks, Ashley! I love all the street art around here too. Love it! 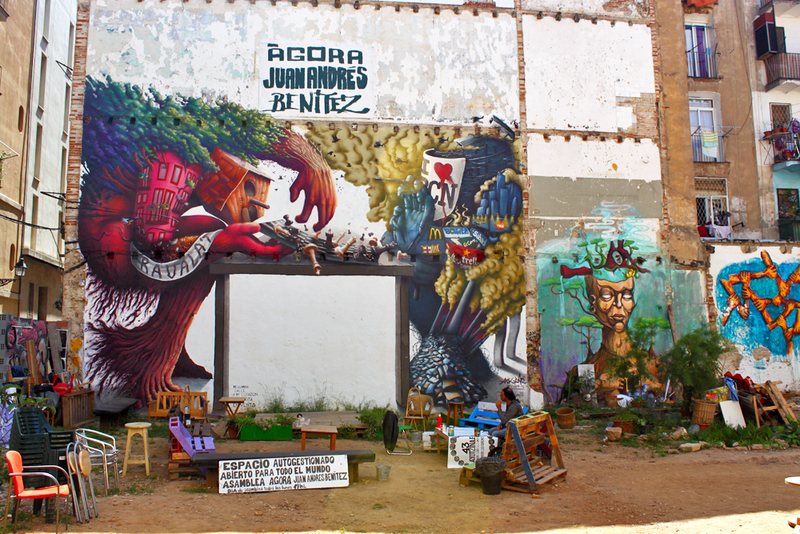 I wan in Barcelona last week and I definitely enjoyed a great urban art scene! Your photos are really amazing! I’ve just recently got back from Barcelona and hadn’t seen a lot of these! 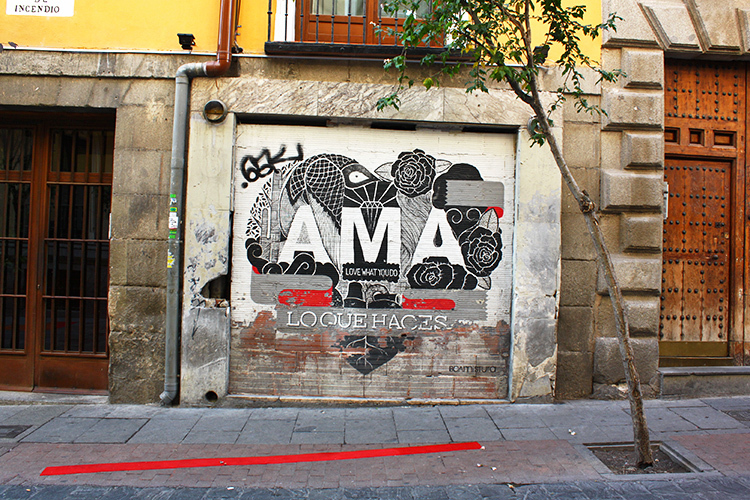 Love the ‘ama lo que haces’ piece. Such an amazing city! 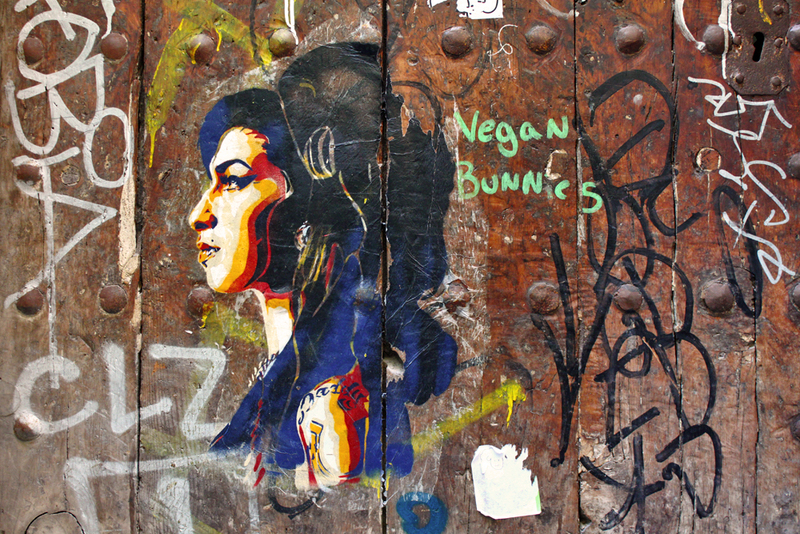 Could you email me the location of the Amy street art please? – thank you! Barcelona is my dream destination! I can’t say I’m a huge fan of street art but this one looks great. Also, you’ve probably heard about Banksy, I’d recommend seeing his works as well if you like graffiti.